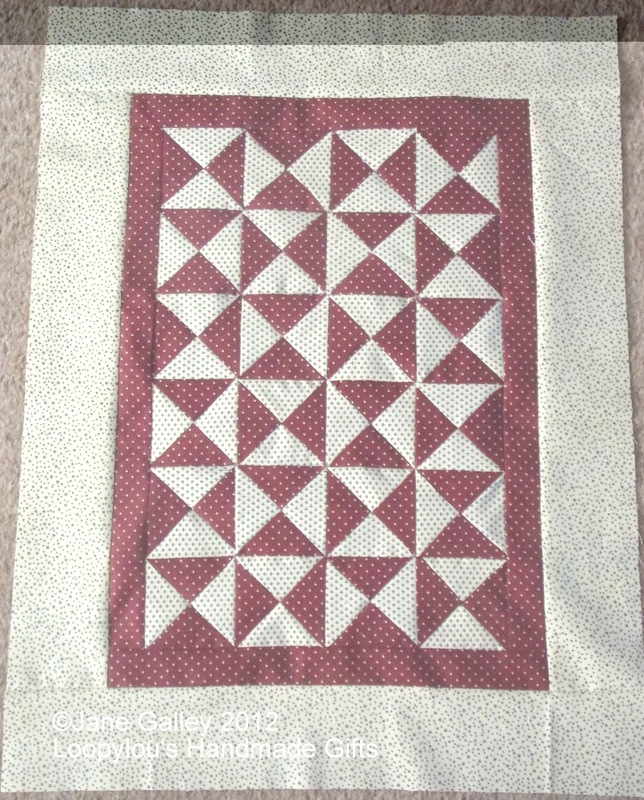 This may not get finished in July, but the top of the Small Quilt Talk Yahoo Group July challenge has been done. I really like this one, I think it has to be one of my favourite. Most of the hour glass units fit perfectly, just a slip of the rotary cutter on one of them, lol. On the whole though, this is perfect. Again, as I don't have Kathy's books, I just made this one up from the photos. 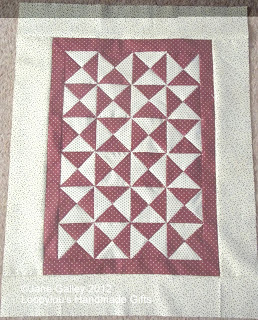 I need to do some shopping for the backing, and then this will be another one for hand quilting. Hey, it looks perfect from where I'm sitting. I think I agree with you about it being the favourite. I'm a sucker for that colour combo. Gorgeous. I like it too - enough to have a go myself for my next quilt top. Make a nice change from my usual four patch. Looks lovely. I am impressed with the way that you are working out the patterns for yourself.